Badhaai Ho Box Office: Ayushmann Khurrana is currently enjoying a purple patch in a career with back-to-back successes. After giving hits like Bareilly Ki Barfi, Shubh Mangal Saavdhan and recently released, Andhadhun, actor’s latest outing Badhaai Ho has struck gold at box office. Recently, Ayushmann Khurrana and Sanya Malhotra’s Badhaai Ho entered the list of most Profitable Movies of 2018. The movie surprisingly surpassed the ROI % of eight movies including Hichki (130.85%) , Veere Di Wedding (129.22%), Satyameva Jayate (120.62%), Parmanu: The Story Of Pokhran(117.86%), PadMan (113.37%), Sui Dhaaga (112.70%), Raid (111.54%) & Dhadak(105.48%). Now after the end of first week it has surpassed another Superhit in the list. The comic caper surpassed Tiger Shroff’s action-thriller Baaghi 2 (175%) and now stands at sixth position in the list. Ayushmann starrer made a grand total of 61.85 crores at the end of the first week, making a profit of 181.13%. Made on a controlled budget of 22 crores, the movie already yielded a handsome profit for the people involved, thus emerging as a Superhit affair at the box office. From Deewana, Kabhi Haan Kabhi Na To Saare Jahan Se Acha: 10 Films For Which Shah Rukh Khan Was NOT The First Choice! Badhaai Ho VS Namaste England At The Box Office: Day Wise Breakdown Of How Content Won! Badhaai Ho is a film about a man whose mother becomes pregnant. It also features Neena Gupta and Gajraj Rao. Actress Surekha Sikri, who is being loved for her portrayal as a nagging grandma in Badhaai Ho, has no plan to slow down, and says she has no desire to retire either. “Retirement? Hello, I don’t even know that word. What does it mean,” Surekha, 73, asked with a chuckle while speaking to IANS on the phone from Mumbai. “That’s a very old-fashioned English concept … That you do something and then you retire — and mostly it applies to government servants. Fortunately, I am a freelancer and I don’t have any wish or desire to retire. I can just go on and on,” added the veteran, who is basking in the appreciation coming from all quarters for her mother-in-law avatar in Badhaai Ho. 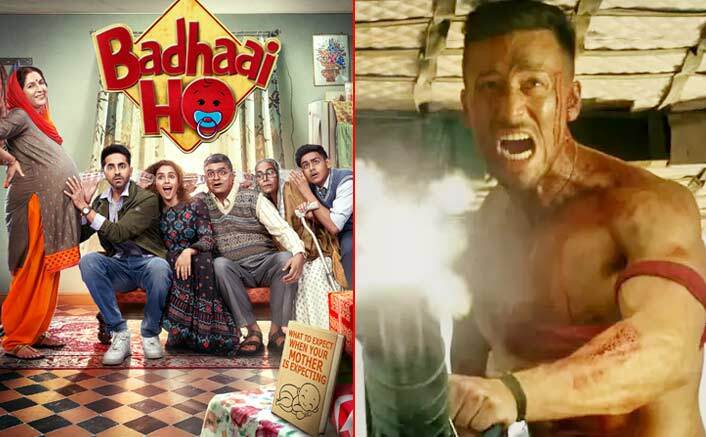 The post Badhaai Ho Box Office: Crosses Another Superhit Film In The List Of The Most Profitable Movies Of 2018 appeared first on Koimoi. Stree Box Office: Yet Again BEATS Another Film In The List Of Most Profitable Films Of 2018! Badhaai Ho Crosses AndhaDhun At The Box Office: Khushi Ke Aansoon For Ayushmann Khurrana! 2.0 Box Office (Hindi): Makes A Entry With A SUPERHIT Tag In The Most Profitable Movies Of 2018! AndhaDhun Box Office: Enters The List Of Most Profitable Films Of 2018! Badhaai Ho Box Office Day 2: It Is A Hit, Set To Be A Big Winner!